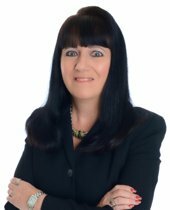 DIANA J. BARTH, SRES, CDPE, RCC CREN is a licensed REALTOR in South Carolina. Diana, a full time, full service REALTOR, specializes in representing residential sellers and buyers throughout all of Myrtle Beach, Garden City, Surfside Beach, Murrell's Inlet, Pawley's Island, Litchfield, North Myrtle Beach, Conway, Little River, Longs and other areas of Horry and Georgetown Counties of South Carolina. DIANA believes in the highest professionalism, superior service, honesty and timely communication. DIANA'S local expertise and extensive real estate experience will benefit individuals who demand exceptional service. DIANA believes it is critical to continue real estate education to help serve buyers and sellers with the highest professional standards. In 2004 DIANA received the Senior Real Estate Specialist (SRES) designation. In 2006 she received the Certified New Home Specialist and Residential Construction Certification. In 2010 she received the Certified Distressed Property Expert. DIANA is a Senior Real Estate Specialist (only a few agents in the area hold the SRES) who is trained to work within the 55 plus communities. Knowing how to market and advertise these communities are a MUST. DIANA joined the RE/MAX family in 2002, being a top award-winning agent, receiving numerous awards based on sales volume - The President Award in 2002. The Executive Club in 2003, 2007, 2008, and 2009. The 100% Club in 2004, 2005, 2006, 2010, and 2011. DIANA is proud to be a member of the Myrtle Beach BNI Chapter (Business Networking International) which helps to expand her business. DIANA donates a percentage of her commission from each closing to the Children's Miracle Network on behalf of her clients. DIANA considers the area an excellent place to reside and would love to share her enthusiasm for the many neighborhoods that encompass it. DIANA prides herself on providing unparalleled service and looks forward to developing a long term relationship with her clients. DIANA truly loves what she does - and it shows in her service! REMEMBER, IT'S YOUR CHOICE - CHOOSE DIANA J. BARTH AS YOUR REALTOR.